Services: Tickets. 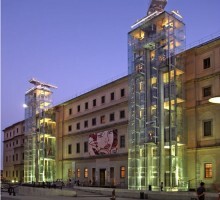 Time: Reina Sofía museum open Mondays from 10:00 to 21:00, from Wednesday to Saturday from 10:00 to 21:00, Sundays from 10:00 to 19:00. Tuesday closed. Start Location: Reina Sofia Museum. Conditions: Book at least 24 h. advance. Cancellation fee: 100%. Observations: This ticket allow yo to go directly to the Preferential Box Office, for direct access to the museum, skipping the line. Free entrance for people under 18 years of age. Among the mayor works, we find paintings of: Pablo Picasso, Salvador Dalí, Joan Miró, Francis Picabia, René Magritte, Óscar Domínguez, Yves Tanguy, Juan Gris, Georges Braque, Robert Delaunay, Fernand Léger or Albert Gleizes. 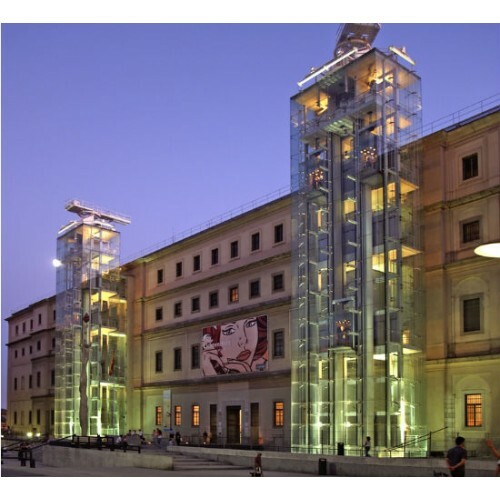 This ticket allow you to go directly to the Preferential Box Office, for direct access to the museum, skipping the line.